A film noir in intent but more grey in execution, Dark Passage cruises in patches and sputters in others. 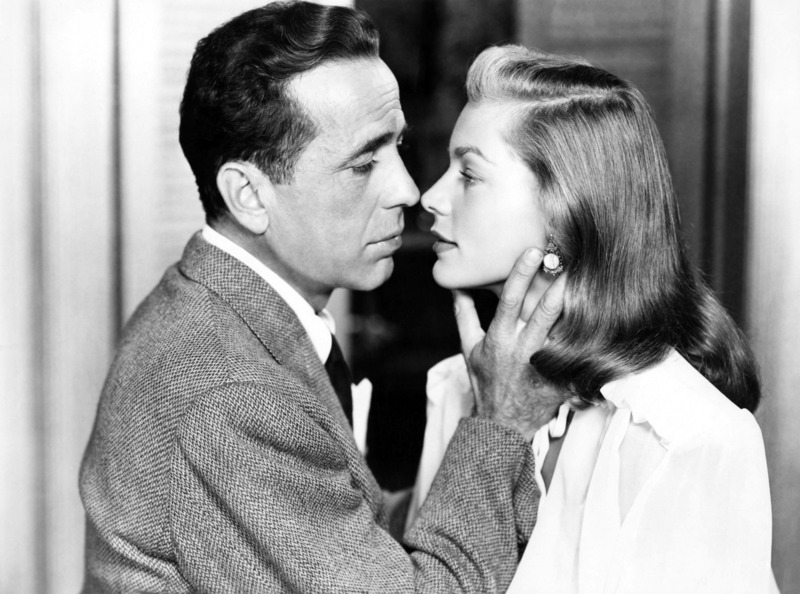 The third teaming of Lauren Bacall and Humphrey Bogart radiates comfortable heat, but the overall story is limp, filled with far-fetched coincidences, and generally beneath the acting talent. Vincent Parry (Bogart) has been wrongly convicted of killing his wife. Serving his time in Alcatraz, he escapes on the back of a truck, then attempts to hitch a ride to San Francisco with a passing motorist named Baker (Clifton Young). When Baker becomes suspicious, Parry knocks-him out, just as landscape artist Irene Jansen (Bacall) comes driving by to offer Parry a refuge. She stashes him in her apartment, where he learns that she attended his trial and always believed him to be innocent. Irene's annoying friend Madge (Agnes Moorehead) also has a history with Parry: he had rejected her as a lover and her testimony helped to convict him. With the police out in force looking for Parry, sympathetic cab driver Sam (Tom D'Andrea) connects him with back-lane plastic surgeon Dr. Coley (Houseley Stevenson), who changes Parry's appearance. Parry's friend George Fellsinger (Rory Mallinson) also offers to help, but he soon runs into trouble, and Parry is accused of another serious crime. With his choices narrowing by the hour, Parry has to decide who to trust, and untangle what plans Irene, Madge and Baker have in store for him. Dark Passage deploys a crafty first-person perspective for its first half, with all the action viewed from Parry's perspective, Bogart narrating the action but never seen. 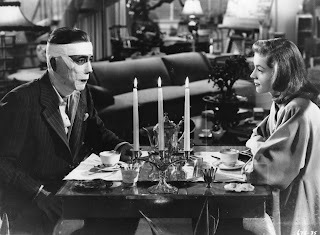 After the plastic surgery Parry is shown with his head fully bandaged, and it's only when the bandages come off a full 65 minutes into the movie, that Bogart finally makes his full appearance. It's a clever device, sharply delivered by writer/director Delmer Daves. Not only does the perspective add dramatic flair, it immediately generates sympathy for Parry by giving the audience his eyes. Daves also makes good use of San Francisco's dramatic streets and vistas, the city proving effective as the backdrop to the drama and third star of the movie. With Bogart off-screen for a large portion of the film, it's left to Bacall to interact with the camera, and she has the magnetism to pull it off. Irene is a strong willed and independent woman not afraid to harbour a fugitive, a role that Bacall nails from her first scene, picking Parry up from the side of the road and smuggling him into her apartment. Unfortunately, the rest of Dark Passage lacks the intensity and intellect to match the innovative visual style and available star charisma. The story is disappointingly pedestrian, limited to personal jealousies, jilted domestic lovers and opportunistic low-life crooks, a far cry from the kind of intrigue that the Bogart and Bacall personas are more used to dealing with. There are no evil minds in Dark Passage that are worth Bogart's time, and indeed once Parry sorts out who's who, he slaps the necessary undesirables around and wraps things up within minutes. To compound the lack of compelling characters, Dark Passage is built on a series of fantastic coincidences, starting with Irene just happening to drive by Baker's car; Madge inexplicably being friends with Irene; Sam being the one cab driver in San Francisco to have an illegal plastic surgeon as a friend; and Baker being just the kind of guy to try and exploit Parry's misfortune. Even Parry's tense encounter with an eagle-eyed cop at a midnight diner smacks of a script assembling events too tidily in favour of amplifying its own drama. The stars shine bright, but Dark Passage needed a few more glowing lights to fully find its way.